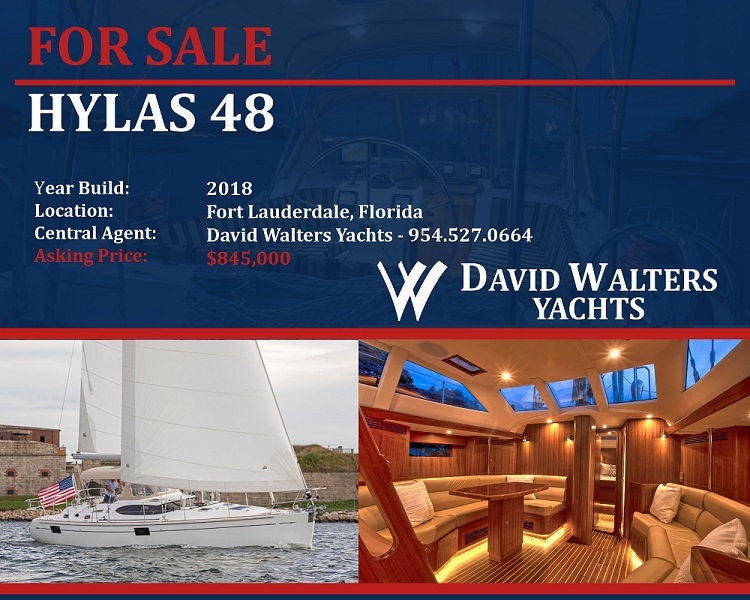 BE THE FIRST OWNER IN THE WORLD OF A BRAND NEW HYLAS 48. AVAILABLE TODAY WITHOUT THE WAIT! New in its class, the Bill Dixon designed Hylas 48 was precisely engineered for strength and reliability to satisfy even the most demanding buyer. This stately yacht is powerful but graceful which includes sleek raised salon windows for easy viewing, the choice of two or three cabins and a large center cockpit vessel that will impress any guest. The Hylas 48 offers premium quality and handcrafted details that make this luxury yacht stand in a class of its own.